Sharp Air purifiers incorporate Sharp patented Plasmacluster Ion technology, Sharp's exclusive humidifying function and Sharp high efficiency filters. The Energy Star® certified Sharp air purifiers feature Sharp LibraryQuiet™ operation, the Ultra low energy consumption, the Sharp automatic digital controls and Sharp's legendary reliability. Sharp Air Purifiers There are 4 products. 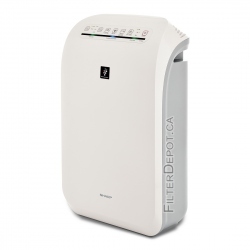 Sharp FP-F50UW (FPF50UW) is a compact Sharp air purifier. Sharp FP-F50UW employs Sharp Plasmacluster Ion generator and Sharp FP-F50UW HEPA and Carbon filters for medium room air purification. 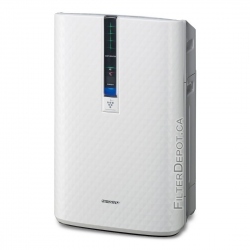 Sharp FP-F60UW (FPF60UW) - the LibraryQuiet™ Sharp air purifier employs Sharp FP-F60UW True HEPA and carbon filters and Sharp Plasmacluster Ion technology for effective large room air purification. 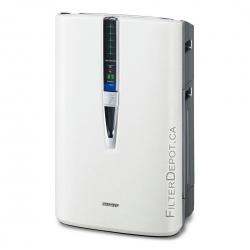 Sharp KC-850U (KC850U) is 3-in-1 Sharp air purifier, humidifier and sterilizer with Sharp KC-850U Plasmacluster Ion Generator for large room air purification. 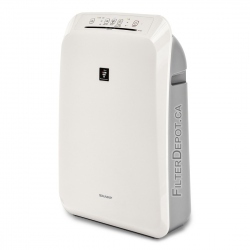 Sharp KC-860U (KC860U) Air Purifier / Humidifier is 2-in-1 Sharp Air purifier and humidifier with Sharp Patented Plasmacluster Ion technology for a very large room.